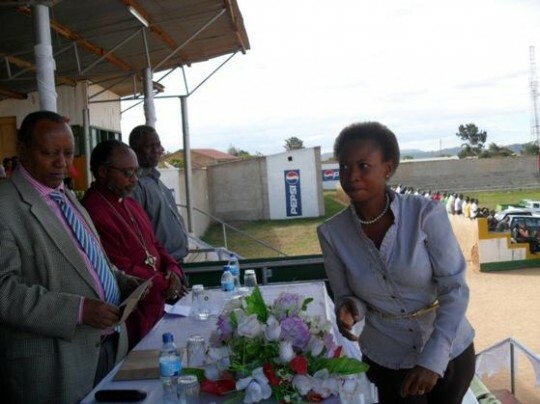 The girl you see in this picture is our CCDO Human Resources Personnel Miss Beatrice Mosha, giving the enclosed CCDO speech envelop to the guest of Honour Excellence Former Prime Minister Fredrick T. Sumaye who is opening the received CCDO envelop speech as you see the action above. 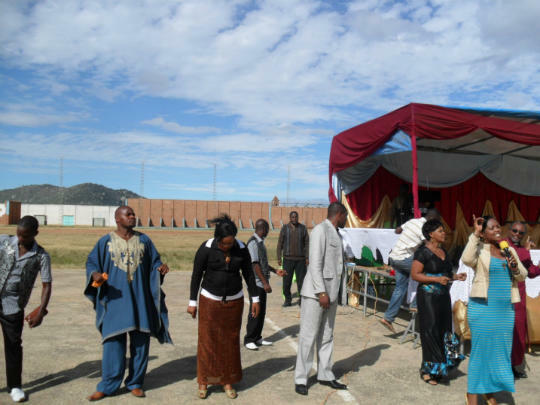 Also see the picture below of the attended compatriots on that day. 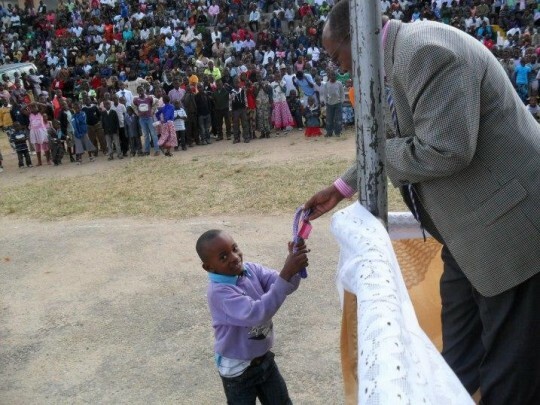 That picture you watch here was taken during the fundraising event that was took place on 21/05/2011 at about 02:00 PM at Samora Stadium in Iringa Municipality of Iringa region, Tanzania. 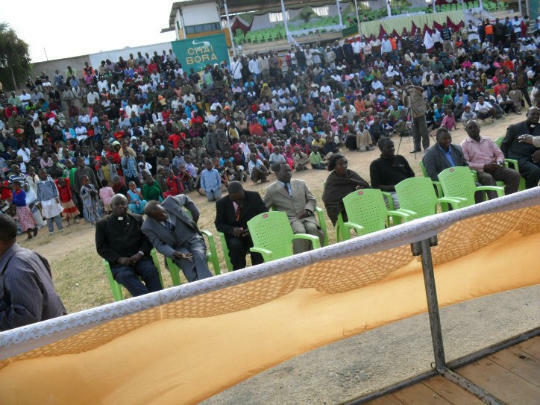 The above pictures you see are the famous gospel singers in Tanzania and Kenya. The one girl who hold the microphone is Miss Christina Shusho and her back is Geniffer Mgendi, the boy who wore the suit is Solomoni Mkubwa from Kenya Country, the center between Solomoni Mkubwa and the man who wore the well designed suit gown is Miss Bahati Bukuku, and the last one who wore a well designed big style dress is Bonny Mwaitege.